I can really like a place but still somehow forget about it. To actually go back for a second time is in fact a rarity since there are so many new places to try on the foodie list. 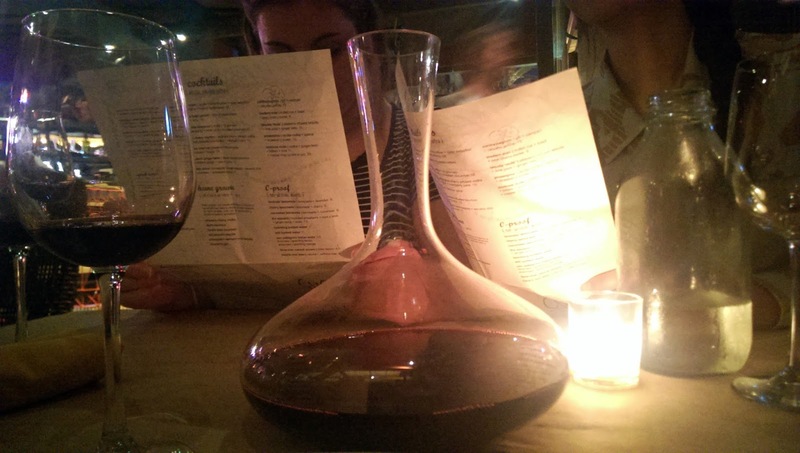 Well, I could not stop thinking about Cucina Urbana after my San Diego trip two months ago. I began plotting another trip down to SD just to eat there again, but luckily while browsing their website I discovered they have a sister restaurant called Cucina Enoteca at the Irvine Spectrum. I promptly emailed my OC friends and made dinner reservations. The menu at Cucina Enoteca is a little different from Cucina Urbana. 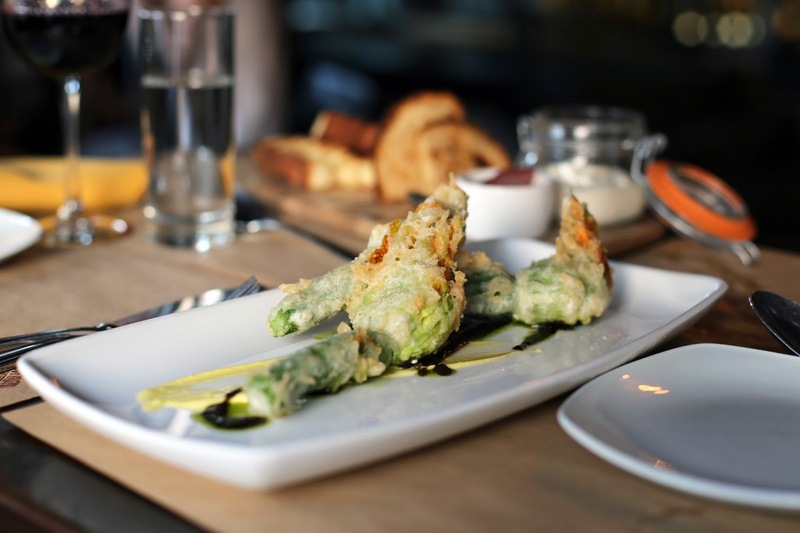 They still have my favorite Stuffed Fried Squash Blossoms which is probably the best appetizer I've had in one bite. You know how some dishes require flavors to build bite after bite? With this dish all you need is one bite and you can die happy. They however did not have the Charred Heirloom Broccoli pizza which was kind of a bummer because I'm a broccoli fiend but it allowed me to try something new. 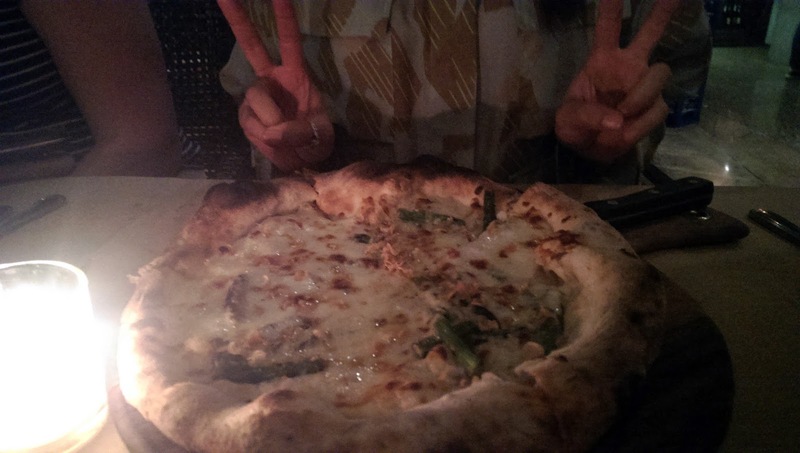 I got the Grilled Asparagus Bianco pizza and although I have to say it was not as delicious as the broccoli pizza, it did have a great spicy kick that makes all the cheese that much more satisfying. There is a section on the menu called Vasi which is an appetizer served in a mini mason jar with toast. The concept itself is cute and the execution is spot on. The two I've tried are the Gorgonzola Walnut Mousse + Poached Pear and the Tuna Conserva + Bean + Olive + Egg. Both get my applause. Other menu shout outs include the Short Rib Parppardelle, Pepperoni + Fennel Sausage Pizza, Mediterranean Mussels, and the Tiramisu. Still a million things to try on the menu so anyone up for a drive down to Irvine with me? After my sister and brother in law moved to the Mount Washington area, they introduced me to some delicious eats near their home. My sister had told me about Fusion Burger for a while before we had the chance to try it. According to her, a former chef from Umami Burger opened up Fusion Burger, and so its her go-to gourmet burger spot. I first tried Fusion Burger shortly after my first trip to Umami Burger, and I would recommend Fusion if you care about the burger, but not the decor. If you enjoy hipster-watching and going out to dinner as an event, then stick with Umami Burger. The burgers at Fusion Burger are similar to those at Umami burger - small and relatively pricy... but flavorful and satisfying. 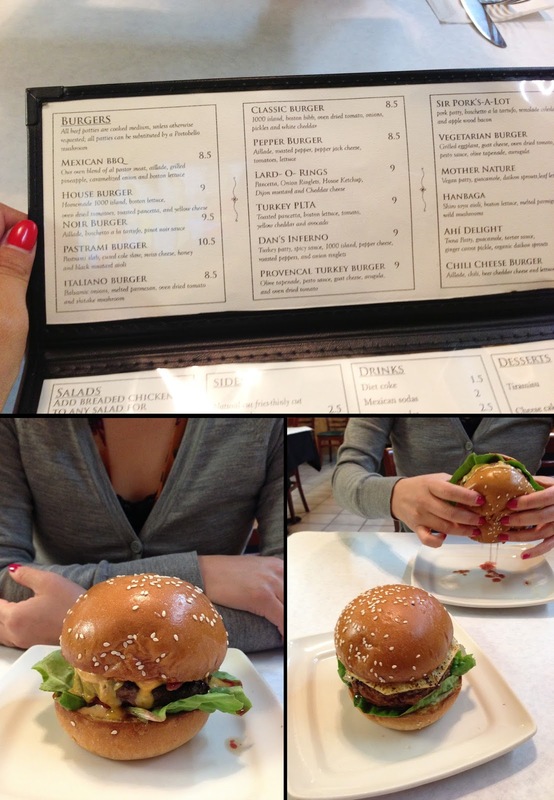 The menu consists of a variety of very unique burgers, like the Mexican BBQ burger which I had to try. My sister had either the house or classic burger, which was dripping with juicy goodness. I was definitely wowed by the taste of the food, although the decor (or lack thereof) might be offputting to some more delicate souls out there.